My electrics are not working what should I do? 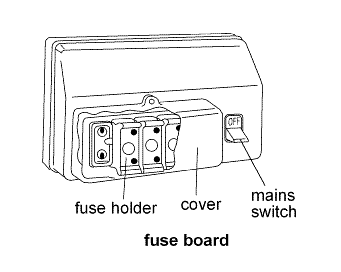 Firstly check your fuse board or consumer unit, has a fuse blown or one of the switches tripped, if so reset the switch or change the fuse wire (remember, when changing the fuse wire to turn the whole fuse board off before removing and before replacing the fuse carrier, if there is a fault on the circuit and the fuse carrier is replaced on a live fuse board there may be an electrical flash resulting in injury), to find out more about resetting circuit breaker switches and changing fuse wire go to our Resetting circuit breakers and changing fuse wire page. If there are no problems with the fuse board or consumer unit then have the mains failed? Sometimes the fault is not in your property but to a problem with the wiring of the incoming supply, the best way to check this out is to visit your neighbour and ask them whether they are experiencing a power failure. Now the way that the mains works is through three separate live or as electricians call them phases wires, it is common practice that your property might not be on the same phase as your neighbours and that the phase supplying power to your property is servicing every third property, so to double check pop around and talk to a couple of neighbours, you never know they may invite you in, offer you a cup of tea and you may strike up a long lasting friendship and visit Portugal together. If you do find that the mains have failed then you should check with UK Power Networks, or whoever is in charge of the network infrastructure in your area. I would give you their number, but these companies change their numbers as frequently as the lottery changes theirs. But my telephone doesn’t work. I have found that many people believe that if the mains power has failed, then so has the telephone power failed (this only occurs in the most extreme of cases, such as World War III), the telephone system is powered separately to the power network and should still be up and running. You should still be able to telephone out, that is unless of course you have a walkabout phone that requires that it is also plugged into the mains. In that case it is a good idea to have one of the older types of phones that plugs into the BT outlet; you know the ones that we used to use in the dark ages, but no I’m not talking about two tin cans and a piece of string. You should be able to get hold of one of these quite easily, there cheap reliable and best of all work when the power has failed. If there hasn’t been a power failure to any of your neighbours, and the local network infrastructure are not reporting any problems then it must be a problem local to your property. In many cases the power has failed on only one circuit, but in extreme cases the problem might be local to your whole property, this could be due to a main switch or RCD (which we will tackle in more detail on our diagnosing RCD faults page)failure. In some cases it might be a failure of the mains fuse that protects the whole property, if you call an electrician he will be able to tell you if this has occurred, but you will then need to call in your supply company to change that item as the electrician is not really allowed to. Hopefully by now the problem should have been isolated and resolved, if not further investigation may be required, we will be expanding on this subject with further articles in the future so pop back from time to time and remember if you found this article helpful tell a friend, a colleague or say hi to us on Facebook.